My favourite Taiwanese Oyster Omlette is from the 11th floor of FE21. Their flavour has not changed over the past two decade. However, I stopped feeling being touched by their omlette. I was touched again last night at this place. I was at Guanghua Night Market last night. 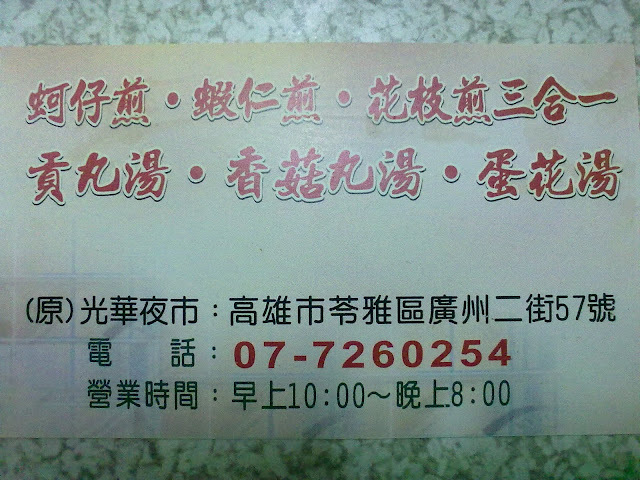 Because of Hebei Dumpling's excellent value, I decided to venture into the small alleys. 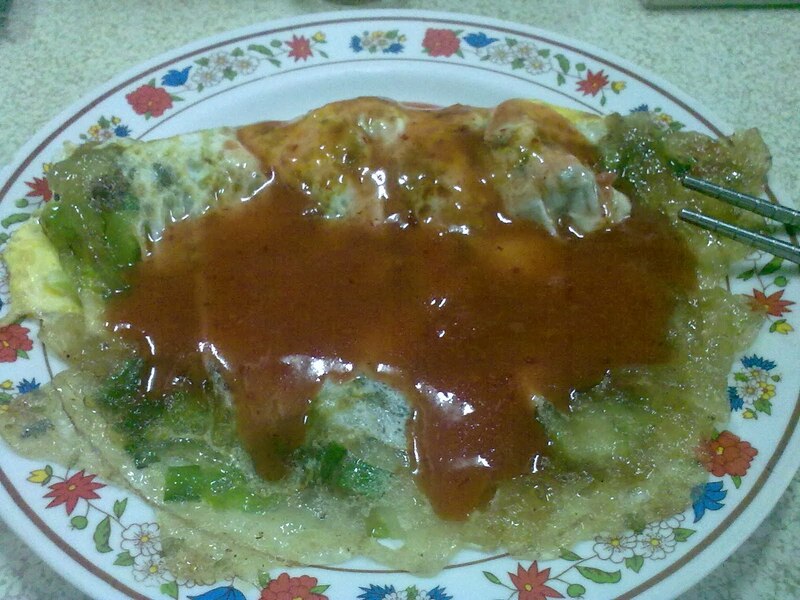 This Oyster Omlette is NT$20 cheaper than FE21, and NT$5 the average of Guanghua Night Market. Their business was quite slow. I was the only customer. I was a bit concerned about the freshness of the oyster. However, the fist bite had been a very pleasant surprise. It felt like as if the chef has put in a piece of her soul into my omlette.